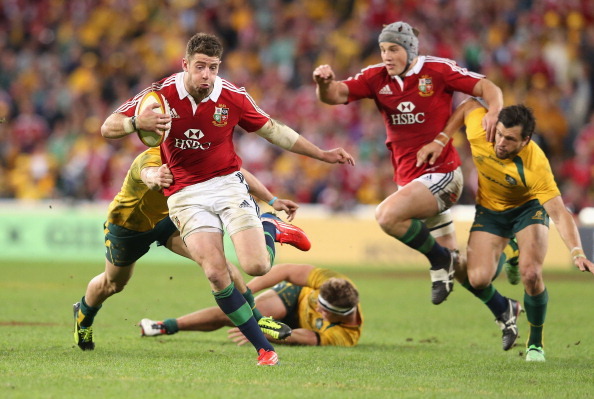 THE LIONS secured an agonisingly narrow, but vitally important 23-21 win in the opening test against the Wallabies. It was a game full of heart-stopping drama which ended Warren Gatland’s cursed run against the Australians. The previously unreliable lineout functioned at a 100% and produced safe, if not quick, front and middle ball. The scrum, in the first half, was dominant and after conceding an initial free kick for a twitchy early-engage, yielded quality possession and valuable penalties. The Lions completed 93% of their tackles and George North delivered a ‘Man of the Series’ performance. Barring a defensive slip up, against the mesmerising Israel Folau, Jonathan Sexton offered test level game control and Leigh Halfpenny’s boot continues to produce arguably the finest goal-kicking display in Lions’ history. However, whilst the win will have calmed Gatland’s nerves, the manner of the victory won’t. The Wallabies’ ruck defence nullified Mike Phillips. The replacement props significantly weakened the Lions’ scrummage – Adam Jones and Alex Corbisiero must play 65 minutes next week. Plus, this tighest of winning margins occurred against a team with three players stretchered off, an open-side playing at centre and a goal-kicking percentage of 44% – they won’t kick that badly next week. They can’t afford to. But the niggly negatives should not overshadow the major positive – the Lions are 1-0 up and halfway to winning their first series in 16 years. 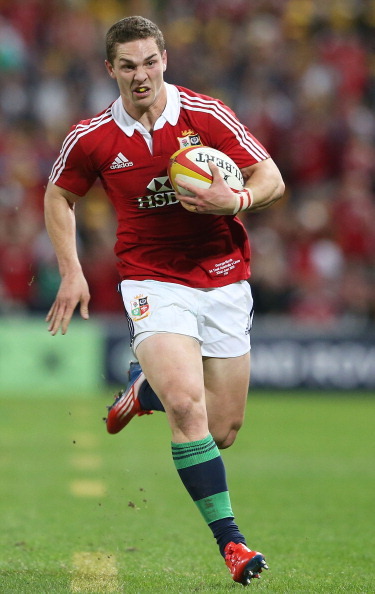 George North’s contribution to the Lions was breathtaking. His try in the 25th minute was a text book example of 20 metre acceleration, exquisite lateral movement and a physique that creates enough inertia, in contact, to tilt a planet off its axis. Some have pointed to North’s try being the result of a missed tackle from Berrick Barnes – however there is a difference between missing a tackle and not making one in the first place. But whilst North’s try will undoubtedly rank as one of the all-time Lions’ greats, other aspects of his game were equally impressive. North’s defensive work was invaluable. His tackle on Digby Ioane – I say ‘tackle’, he lifted him in the air like a father scooping his three- year-old out of the bath – created a maul and led to a valuable Lions’ scrum in the Wallabies’ 22. Northern Hemisphere supporters have long known that North is one of the finest players in the game – now the rest of the world does too. The manner in which the breakdown was refereed on Saturday had a huge impact on the first test – it also affected the perceived performance of both back-rows. The exacting standards to which players were required to support their body weight when ‘jackaling’ the ball made it impossible to affect a turnover. Whilst nobody wants the breakdown being contested to the point where it slows the game unnecessarily – ‘jackaling’ is and must remain a part of the game. Not allowing players to compete at the breakdown affects the game-plan and ultimately team selection – why pick a genuine open-side to arrive at breakdown first if he can’t do anything when he arrives? Many will argue that players should adapt to the referee, and to a certain extent that is correct, however you can’t expect players to completely alter the body angles that they have used all season on the whim of one man. Unfair for players. Unfair for supporters. A quick gander at the boxes of the Wallabies’ analysis DVDs would surely reveal Mike Phillips’ name along the majority of the spines – they had clearly analysed his game. The Wallabies regularly used their first and second guards to dive straight out of the ruck defence and shut down the space in which Phillip’s chooses to run his ‘arc’ along the base of the ruck. Usually one of the Lion’s top ball carriers, the Wallabies’ ruck defence reduced Mike Phillips to just 26 metres with the ball – the second lowest in the Lions’ backline. As a result Phillips was often scragged in the narrow channels or forced into rushed box kicks. This isn’t to say that Phillips had a very poor game, but the Lions will need to figure out the Wallabies ruck defence if he is to excel in the second Test. It’s hard not to be impressed by the Wallabies performance against the Lions. They have had no warm-up matches and are missing three of the best backrow forwards in Super Rugby – David Pocock, Scott Higginbotham and George Smith. The best outside half in Australia, Quade Cooper, has been excluded from the squad and their coach Robbie Deans is under enormous pressure. This was all before the whistle has blown. When it did blow, they proceeded to have three players stretchered off and then had to play 34 minutes with an open-side flanker at inside-centre. Such is the Wallabies’ bad luck that I can only presume one of their training drills involves shuttle runs underneath a series of ladders. Yet despite all of this, they nearly, and probably should have – won. However, that’s where the congratulations and empathy ends. In my view, James Horwill’s stamp on Alun-Wyn Jones’ face was unbecoming of a test captain and we will soon find out if he is to be banned.